An awesome effort by everyone who read!! This entry was posted in Uncategorized and tagged Reading, Reading Hour by smotlrcblog. Bookmark the permalink. 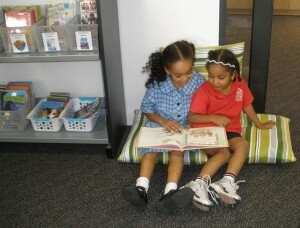 Wow Miss Y 1PC did really well with their reading and so did the rest of the school. We’ve all read heaps for the reading minutes. Yes it is an awesome effort by everyone. 1PC should be very proud of their Reading Minutes! I’m very proud of our whole school – it was an awesome effort!!! I am going to print up the email and keep it in my special box that’s mostly full of footy stuff. That’s a great idea! You need to put a photo of you as Maxx Rumble with your email. What a fantastic effort. Isn’t it amazing to see what we can achieve if we all work together as a team? Well done. I cannot believe how many minutes the school read for! Book Week was really fun! I was amazed at how many minutes our school read for too! It was a fabulous whole school effort! Lots of students said they were surprised how many minutes they had actually read when they added them up. Were you surprised by your personal reading minutes? When you read a great book you often get lost in the story and don’t notice the time passing – I wonder of that’s what happened to you?